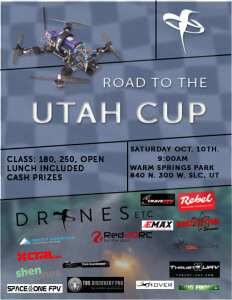 32 drone racers participated in the Road to the Utah Cup Drone Race, which was sponsored by Drones, Etc. and took place at Warm Springs Park in Salt Lake City. Drones were guided by their pilots along courses marked with cones and flags, trees and other obstacles. The Race was a qualifier for the IDRA‘s California Cup in November.